A few weeks ago, I took a trip down to Waco, TX. 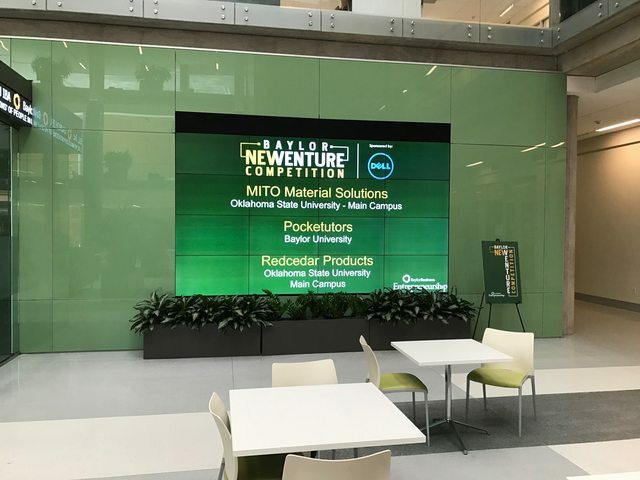 My startup company, Redcedar Products, went to compete at the Baylor New Venture Competition. We had a great time, and had an opportunity to meet lots of exciting people and really put our business plan to the test. Even better: we won money! 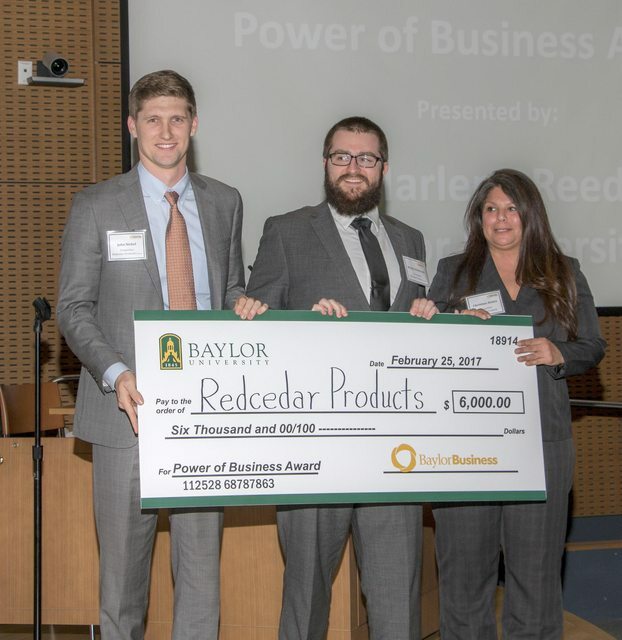 Redcedar Products was awarded an honorable mention, as well as the prestigious Power of Business Award. I mean, just look at those happy faces. I’d love to go into the detail of the interesting science behind what we are doing, but since we are planning to move forward with our plan, I can’t have you stealing my golden ideas. 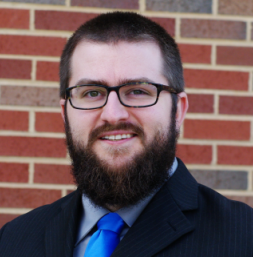 You can check out the news clippings from the announcement of our win at the OSU website or the Baylor website.